Choosing the right college is intimidating. This is an important decision and no one wants to make the wrong choice or accidentally overlook an opportunity. However, with a little preparation and focus, you can effectively streamline your research, narrow your options and more quickly pinpoint the college or university that provides a perfect fit. This guide will walk you through understanding the process of finding and selecting a college that fits, and offer you some simple tips to increase your personal success. When should you start comparing colleges? If you are a traditional student, start considering colleges by the summer before your junior year. Earlier than that tends to be premature, and any later potentially risks limiting your options. If you find a college you love and decide to try for an early action/early decision, time is going to be a crucial factor to you. Even if you are entering into the normal consideration process everywhere you apply, time matters. Calendar dates will already have become very important to you by the time you enter senior year - so a lot will happen over your junior year in preparation. Starting to compare colleges the summer before your junior year should allow you ample time to establish a detailed and personal framework to carefully consider and compare a number of reasonable options, and still be able to have all your applications in on time. How do you compare colleges? The key in finding the best-fit college is to identify and properly prioritize your personal goals. You create your own checklist of what's most important to you, and see how each college measures-up. Looking at the colleges you're considering in this manner helps you develop a more objective perspective, because each option is measured and compared using the same basic set of criteria. This helps you to make sure you cover the bases efficiently and can look at each option free from passion or other forms of sway, like social or family pressure. Objectivity is what brings you to the safest and most productive conclusion. You will want to record your progress as you research college options. A simple way, is to use a spread sheet as you would create in Excel or Google Docs. Some people prefer to be more elaborate, and might create a unique, physical folder for each option that they then fill with brochures and other printed items collected as they progress. Some will blend online and offline options. The means used are really only important to you to create a meaningful resource. However you find it most comfortable to log your progress, do it. There is a lot of information to collect and compare, so don't rely on only your memory. This is a busy, important and often hectic time in your life, so keep it organized to reduce your stress levels, improve efficiency and decrease the overall time invested. Recording everything in the right manner also allows you to view potential colleges side-by-side to enable a stronger decision. The match between a college and its future student is ultimately going to be a very personal one. Every person approaches a college education with their own set of circumstances, so the reasons for attending a specific college are going to be as unique as the people attending them. However, when you use a common set of data points to review and compare your options, your own direction becomes clearer and you are more likely to find an educational path that meets more of your personally defined and prioritized needs. The following are common considerations for choosing one college over another. The priority each receives depends on you, and your personal situation. Proximity to Home. Some students want to try school in brand new part of the country while some prefer to be closer to home. How this factor weighs-in is going to vary greatly by individual, and just as much by the resources offered by the city and state where they live. Most often, this weight will either be dictated by a personal guideline, e.g., the student doesn't want to be far from home, or the financial challenges presented by selecting one option over another. Campus location. Where is the campus located in relation to the city? Some campuses - like University of Wisconsin in Milwaukee - are found integrated into the heart of a major city. Some campuses are more secluded and intentionally removed, like the forest-lined buildings of Furman University in South Carolina. While this should not be a major concern when collecting information initially, once you begin comparing the options and visiting campuses it is an important detail to consider. It may not make a difference to you, but there is definitely a specific feel offered by the campus location of different types of colleges, making their relationship within the city and surrounding area a data point worth understanding and evaluation. Campus safety and accessibility. Typically related to its location, the relative safety and accessibility offered by the campus layout is another finer detail to consider. Not typically a deciding factor, safety and accessibility will play a larger part as you refine and filter your opportunities. All colleges will work to ensure their students' safety, but the location and physical properties of some are simply going to be safer and more accessible than others. Inside Tip: Are cars allowed? One insider's tip to consider, is whether or not the college allows freshman to have a car on campus. Many don't - and many that do, require very specific parking rights that add extra costs and specific obligations. A car is not often a consideration for getting around campus (none are THAT big), but more about how the student interacts with the surrounding area and their ability to travel off campus and back without help. There are many school-related transit options like Auburn University's popular "Drunk Bus," or various shuttle services provided by a particular school, but it varies. This single consideration (of whether or not a car is allowed) should not be able to swing your vote in one way or the other about a specific college choice- but it is something to consider, to ensure a balanced comparison and to maintain a reasonable expectation of what you'll encounter during your first year. There is a wide range of ways you might approach your college education, depending on the type of education you are seeking. There are of course traditional degree paths, but micro colleges, community colleges and online options open-up a wide array of specialization and different directions to consider. If you know what direction you'd like to go, great - it will make finding colleges that offer your concentration much more direct. Many students don't really know what they want to study in a meaningful way - and at this point of the journey, it is perfectly normal to feel that way. In a case like this, you would likely want to look for colleges that offered general programs, transferrable credits and opportunity. A state-run university might be the perfect thing, as it would allow you to start in a general way but focus your direction once established. 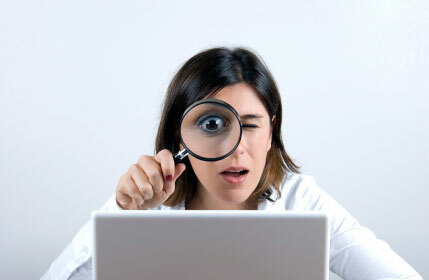 If you want to see what a college offers for areas of study and degrees, one efficient way is to look to the web. We have a list of colleges by state that is linked, and you can use it to view any college site to see what majors and programs are offered. Remember too, the first two years of college are not typically going to be spent on the major as much as the core curriculum. This means the core classes can likely be approached and handled in a more universal manner, but when you decide on a major, choosing the right school can make a big impact and is worth more detailed and precise evaluation. Tuition. These costs are typically pretty easy to discover and collect. Housing costs might range a bit on any given campus depending on a variety of factors, but the tuition costs are going to be pretty universally applied and easy to find. Try to prepare for some degree of sticker-shock: a higher education is not always going to be an inexpensive endeavor. But also keep in mind that most schools have programs designed to help you deal with the costs - through loans, scholarships, grants, work programs and other forms of financial aid. Tuition cost is a deciding factor for many situations - but when seeking opportunities, it pays to think of the opportunity first, the costs second. Costs can sometimes be handled in very creative ways for the right student, and many colleges will be willing to take extraordinary measures to help the best students find ways to make it work. Housing. It is common in many colleges to have requirements for freshman to live in specifically designated buildings. Some allow off-campus apartments. Many will have dorms, some will not offer anything specifically. Housing is an important cost factor to consider, but it is not usually going to be a determining factor for you on picking one college instead of another. There are usually more important things to you than the available housing, especially when you are simply collecting information. However, in being thorough and comparing apples-to-apples, once you narrow your search down to 10 or 15 options, you will want to investigate these details, which are usually covered with a scheduled and guided campus visit. Books and Supplies. The cost of books is one that students lament every year, but it is a normal part of college and a cost to plan for every year. Laptops have become a necessary part of college today, and some schools provide them to incoming freshman but some do not. The good news, is many campus bookstores will over significant student discounts on computers, software, books and other supplies. The cost of these items is going to accompany a student no matter where they go, so it is best to start thinking of them once you have narrowed down the list to less than ten. It would be something you could address when doing scheduled campus visits. Food and Entertainment. Like books and supplies, the costs of food and entertainment will follow a student wherever they go. And also like books and supplies, food and entertainment are not going to be deciding factors on where to go, but will affect budget planning. Great news for students: they are extended many discounts for being students and there are going to be many free events on any college campus to attend. Many colleges have required dining plans and work the cost of food into the student's yearly fees. When planning a college budget, it is important to factor in the costs of food and entertainment and realize that different locations will present different opportunities and bring their associated costs. Projected additional expenses/safety margin. In addition to the planned expenses of a college education, it makes sense to project the impact of additional expense that will occur. For example, if a student living in Indiana decides to attend the University of Colorado, the family might consider the cost of travel over the course of the year. They may want to add in extra money for skiing excursions. To gain a complete picture of the financial responsibilities of one decision compared to another, these factors will all be things to consider. Financial Aid. It is important to realize, most every student will have some form of financial aid available to them.Many websites offer detailed search options, so you can drill down into what is available to you in outside scholarships. 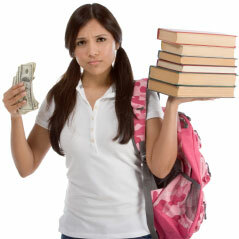 Realize that while most encourage it, not every college will allow outside scholarships. Again, by using the links to the college sites found below, you can review any college's individual financial aid department, and find contact information to speak to the proper representatives. Start by completing your FAFSA - then start looking for help. For some students, supporting their faith or ecological beliefs is a fundamental part of who they are. There are schools specifically for every denomination, and many schools with a decidedly "Go-Green" focus. If these beliefs are strong enough in a student to sway their decision, they may have less options but today's educational landscape will certainly offer them a path. Even if you are not going to participate directly in the programs offered, the existence and level of athletic competition offered at the college is a strong consideration for many. Attending a football, baseball, or soccer game, track or swim meet is very important to some students. The level of competition and history of athletic excellence might be a cause to look at specific schools, such as Duke's winning basketball team or Penn State's legendary football program. Know that intramural athletic programs are popular on any college campus, so if you are seeking some recreational fun, there will likely be many choices anywhere you go. While you should start with a broad stroke approach and an open mind, you do need to refine your options. There are thousands of potential directions you might go, so bring your focus to about 20 schools, and filter those down to about 12 viable options. You'll no doubt have preferences right off the bat, but it pays to see what's out there and to make sure there is not another place that might offer a closer match to your own goals. Objectivity and diligence will get you there. Over your junior year (and especially once you've narrowed the list to a dozen), you should schedule time to visit college campuses to help get a feel for each one. You will see immediately that each college will offer you unique benefits and challenges - and sometimes, you visit a campus and something just clicks - and the decision to apply feels like fate's hand guiding you. Your guidance counselors will be able to help you schedule visits to colleges of interest, and to help you speak to the schools' representatives. Through a site visit, you will be able to see where the dorms are, some classrooms and study areas, student common areas, courtyards and gathering places. You will also be able to talk to financial advisors/admissions personnel, students and other school representatives. As you have no doubt developed questions during your information-collection, this is the time to pose them all - these people are trying to help you make a better decision. Site visits are a great way for you to see if there is a chemistry between you, and the college you are considering. You can see if you like the way the campus fits into the town and surrounding area. You can sometimes see that a college is clearly not where you want to be. All of it is good information and a necessary part of this decision-making process. Ultimately, many students find site visits to be the final piece of the puzzle, and in them they find a college that fits. We applaud your decision to attain a higher level of education. While there are aspects of this transition that are going to be a little intimidating, this is also a wonderful time of growth and change to be embraced. You are doing the right thing by researching. Don't feel limited by the information here, either. This guide is meant as a means to focus your start, but expect to exhaust many sources of information in your evaluation process. Don't be afraid to be creative - be bold, be inquisitive. Reach. The right college is not going simply fall on you - it is something you will determine over time, after carefully deciding what has priority to you, and then weighing the options that meet your needs. But a college that successfully aligns your goals and resources is out there if you are willing to look...it will be ready and waiting for you to enroll. Be thorough. This applies to both collecting research, and in making inquiries or completing applications. Half-way is left-out. Be first. When it comes to being accepted to the college of your choice, good things do not typically come to those who wait. Spots are filled and applications are sorted by priority. If you are not in the running early, many times, you are not even going to be in the race. Don't rush an application or pester an admissions counselor - but be diligent and respect that the selection process depends on time to some degree. Use a calendar and be organized. Be Honest. Fluffing-up or falsifying an application can have some very serious ramifications. Most colleges have strict trust policies, and you'd be risking disqualification or expulsion if found cheating or lying. You might think extra padding will improve your chances, but in reality the opposite is true, and much more likely. Better to be yourself, and put your best foot forward. Not every school is meant for every student but every student can certainly find the right school. Trust the system, and work it. It may be frustrating at times, but every school has their own admissions process and requirements. Use the resources available to stay informed and on top of deadlines. Provide all necessary paperwork on time, complete. If you do not get the opportunities you think you deserve, don't complain - find new ones. Good people fail every day, and you need to keep going. Work the system - it is there for helping you. Ask for help. High school guidance counselors and college admissions departments are there to help you understand the options and requirements, and help you get the most you can. They want to match your needs to the best opportunities too. Use your high school counselors to help you gather the resources for the schools of interest. You can also use the resources offered in our site to help locate and contact the appropriate representatives of the schools in which you have interest, and find scholarship opportunities that can be used to many.